Put on 3D glasses and watch your step as moving floors and gruesome characters throw off your balance inside the newest house in House of Horror Haunted Carnival. Haunted characters like this creepy clown, roam around the haunted park all October long. Photo courtesy House of Horror. One of South Florida’s largest haunted house experiences opened Oct. 6 in Doral’s Miami International Mall, boasting dozens of attractions, from haunted houses and a nightly side show to carnival games and food. The first haunted house, “The Dark Hour,” features multiple rooms filled with gory props and actors sporting ghastly graphic makeup. 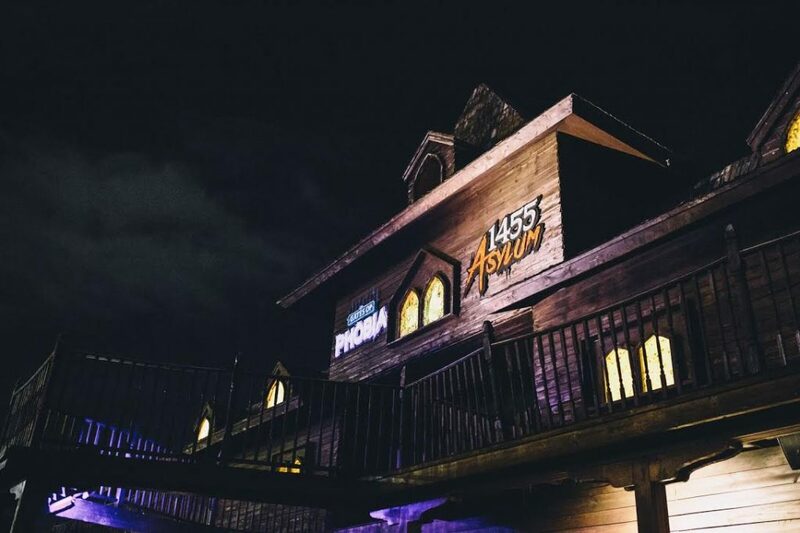 Another house, “1455 Asylum and Gates of Phobia,” provides guests with 3D glasses, distorting props and features. Your eyes play tricks on you, and floors move beneath your feet, while actors pop out and scare you. The new 3D haunted house, "1455 Asylum and Gates of Phobia" at House of Horror. Photo courtesy House of Horror. 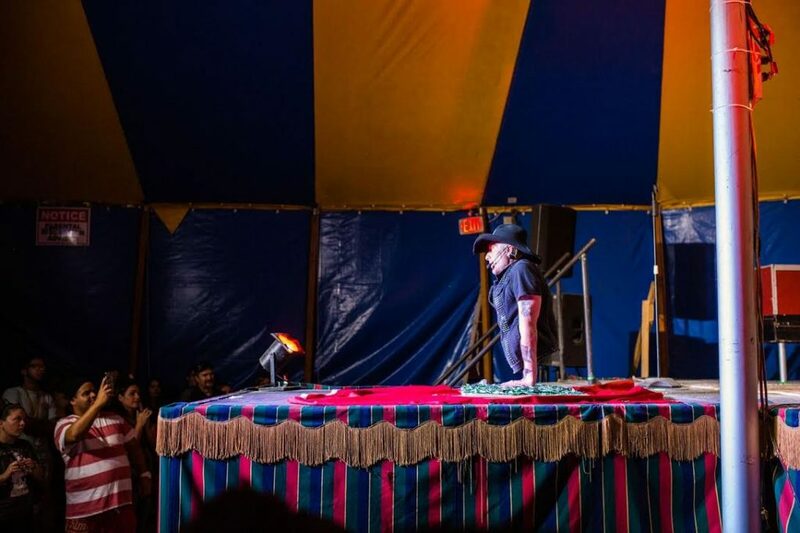 The “Hellzapoppin” performance allows guests to watch awesome death-defying stunts. 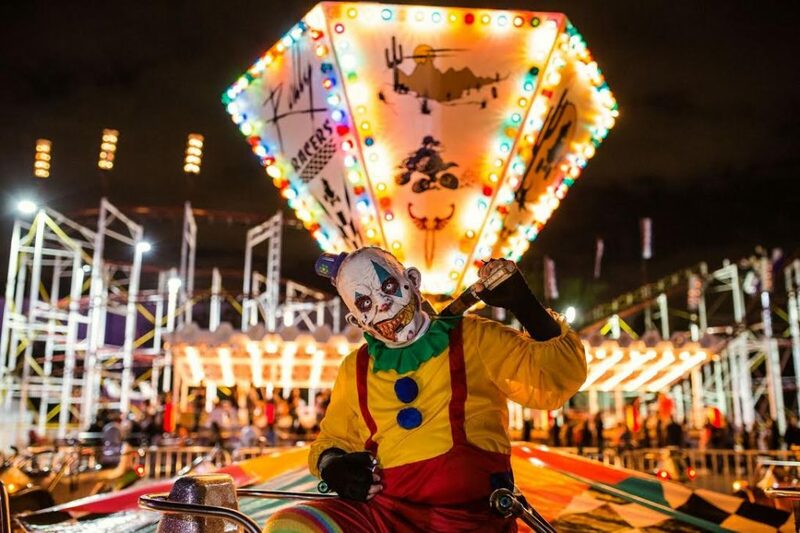 The annual sideshow, filled with carnival freaks, amped up the horror from past years. This year, each freakish act incorporates a new take on the simple blade trick. One man swallows a blade of fire, another swallows multiple swords and a woman climbs a ladder made of blades to bewilder even the most skeptical guests. Host of Hellzapoppin show greets guests at the festival. Photo courtesy House of Horror. In addition to the haunted houses and “Hellzapoppin” performance, there is a bar for guests that are 21 or older, where you can order Halloween-themed drinks. There is also a Freak Emporium, featuring curious displays that range from mummies to chilling photos of some of the world’s most famous carnival freaks. There are also classic carnival games and rides, such as a drop tower, a ferris wheel and a small roller coaster. However, beware of spooky monsters that roam the carnival streets. There’s also a huge variety of food, including BBQ and corn on the cob, as well as traditional carnival-style desserts, such as fried Oreos, funnel cakes and fried Snickers bars. General admission prices range from $10 to $29, excluding special event dates, such as the Phantasma Music Festival on Nov. 3 and Nov. 4. Admission includes access to all of the rides within the carnival and a ticket to the two haunted houses. Reduced prices are available for children six and under but do not include admission to the two haunted houses. The carnival is open from 6 to 11 p.m. Monday through Thursday, 5:30 p.m. to midnight Fridays and Saturdays and 5:30 to 11 p.m. Sundays. The carnival is open through Nov. 4. For more details about ticket pricing and special events, visit houseofhorrorcarnival.com.